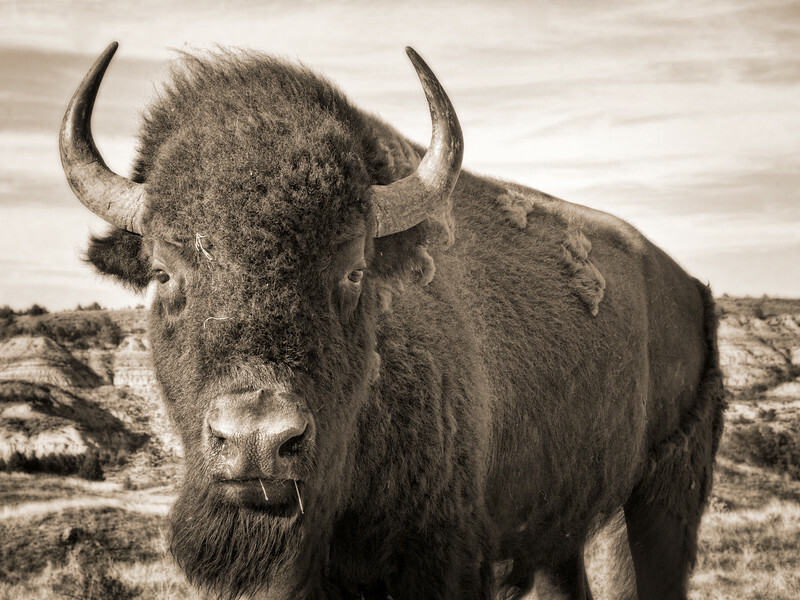 Buffalo are always to be considered dangerous, but with time an patience, it is possible to allow them to get close enough for a good up close shot. This one was about 8 feet from me. I did not use a telephoto lens, but I kept the pick up truck near me for a quick exit if needed -- door open.